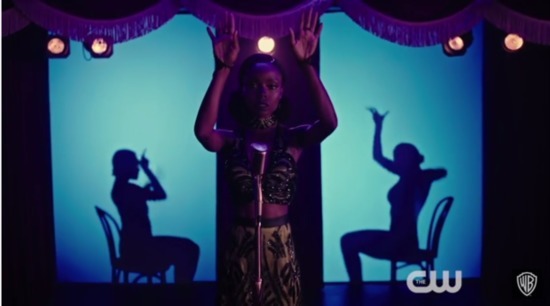 On Wednesday’s RIVERDALE, Josie (Ashleigh Murray) performs a memorable rendition of Cole Porter’s “Anything Goes” at the opening of Veronica’s (Camila Mendes) speakeasy. Can’t wait? Check out the performance of “Anything Goes” now!